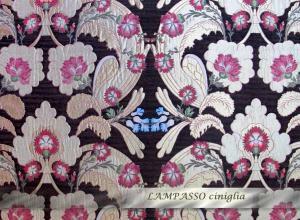 Brocade is one of the most precious fabrics on the market that, thanks to the decorations with effect relief, gold and silver silk and threads, makes of royal elegance ornamental textile and interior design objects. 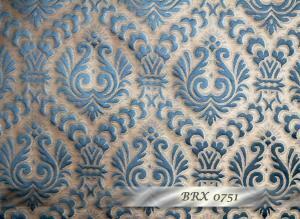 Damask is a silk fabric characterized by the contrast between gloss and design background. 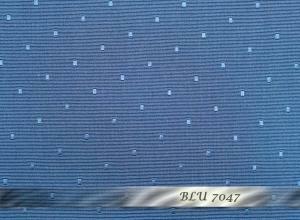 The processing effect, enriched with floral patterns, is shown in a single weft of different textures. The Lampas is a textured fabric, obtained by the intertwining of wires that enliven and originate colors and shades. The imposing gifts and ornaments are the effect of a warp and a background texture sometimes crossed by threads of gold and silver. 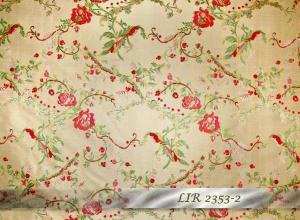 From French liserèr which means “edge, profiling,” the liserè is a tissue obtained by untying of background texture. There are several processes including those two bottom warps alternating or two warps of discontinuous work.